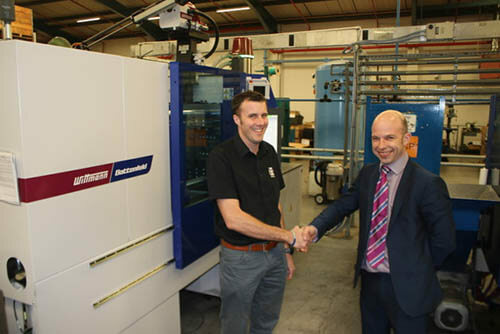 Leading furniture components supplier, Insignia Manufacturing Ltd, has recently completed the purchase and commissioning of a further Wittmann Battenfeld injection moulding machine. Insignia’s investment over the past two years with Wittmann Battenfeld now totals three such moulding machines, together with ancillary production equipment, including granulators, hopper loaders, and Wittmann 3 axis robots. The latest injection moulding machine is equipped with the new B8 Unilog controller from Wittmann Battenfeld. Market expansion is the principal reason for Corby based Insignia’s investment: Over the past 25 years the company has become a leading supplier of plastics-based hardware for the kitchen, bedroom and bathroom (KBB) industries, selling mainly to major manufacturers within the sectors. The UK market accounts for over 85% of the Company’s production and Insignia is currently looking to increase its export activities with a number of enquiries currently in the pipeline. 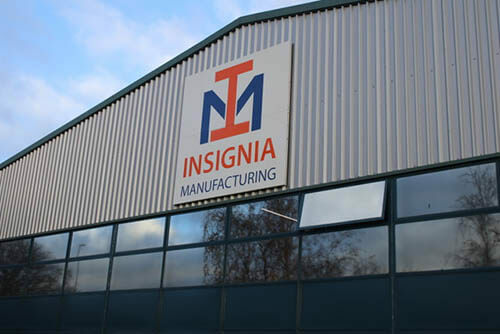 Insignia’s product range is mainly proprietary: The company designs and creates the majority of its products via an in-house design and tooling shop. All components are made from plastics recyclate of various kinds – adding green credentials to the buyer’s selection criteria. All three Wittmann Battenfeld injection-moulding machines are equipped with large injection units and screws in order to fully facilitate multi cavity moulding. The machines were supplied with Wittmann WP80 sprue picking robots, Wittmann MAS3 granulators and Wittmann S3 Net loaders with dual proportioning valves. Insignia has also purchased additional Wittmann ancillary equipment for its factory needs. The total range of equipment provided to Insignia includes two Smartpower B6 60T 350 and one SmartPower B8 120T 750 injection moulding machines; six WP80 sprue pickers, five MAS3 granulators and seven S3 Net hopper loaders. Wittmann Battenfeld UK will be exhibiting at Southern Manufacturing, Farnborough, UK from Feb 6-8. All further details direct from the company.